Liberia's Daniel Oduber International Airport is located in the northwest of Costa Rica in the Guanacaste Province. It is the second largest airport in the country. This is the airport that WestJet Airlines is expected to fly to when it begins flights to Costa Rica. It is the most convenient airport for air passengers to the country coming for popular beach destinations such as Playa Tamarindo, Playa Flamingo, Playa del Coco and most of the all-inclusive style resorts. There are not as many International flights to Liberia Costa Rica as there are to the Juan Santamaria Airport which is located in the nation's capital, San Jose. For travelers to resort destinations in the Northwestern Pacific area of Costa Rica, WestJet flights to Liberia will really cut down on travel time within the country. In late 2009, WestJet announced new flights to Varadero, Cuba and St Maarten. When they made that announcement it was also stated that they would be adding more sun destinations. Since that time, the travel industry has been expecting new flights to Central America, particularly much touristic Costa Rica. 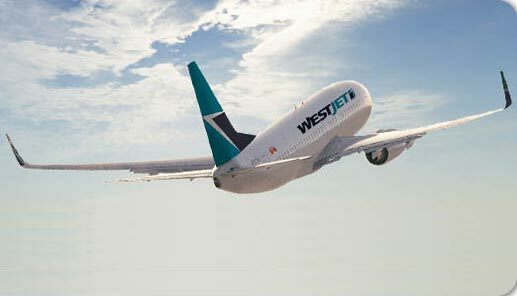 Now it appears that the time is close at hand to an announcement from WestJet regarding flights to Liberia, Costa Rica. The flights will most likely only be out of Toronto, Ontario. It is not expected that they will have any non-stop flights from other cities like Calgary or Vancouver BC. The Daniel Oduber Quiros International Airport, an airport is usually referred to more simply as the Liberia International Airport. The IATA airport code for the airport is LIR. It is named after a Costa Rican President who was in power from 1974 to 1978. The airport handles over 400,000 passengers per year. It is a short drive to the town of Liberia from the airport. Taxi's wait out front of the entrance. It is about 12 to 15 minutes taxi ride to the center of town. CALGARY, Aug. 11, 2011 /CNW/ - WestJet today welcomed the announcement of a new air transport agreement between Canada and Costa Rica. "We congratulate the governments of Canada and Costa Rica in signing this agreement," said Hugh Dunleavy, WestJet Executive Vice-President, Strategy and Planning. "The beautiful country of Costa Rica and its extensive ecotourism opportunities have long been of great interest to Canadian travelers. This agreement will result in new opportunities for visitors from both Canada and Costa Rica to travel between the two countries.